The coming session live blog will be on a separate post (Check the home page half an hour before another session start). Check the schedule here. I approach the registration counter and they are still setting up, but after few minutes, im able to register and get my tag, and a goodies bag. 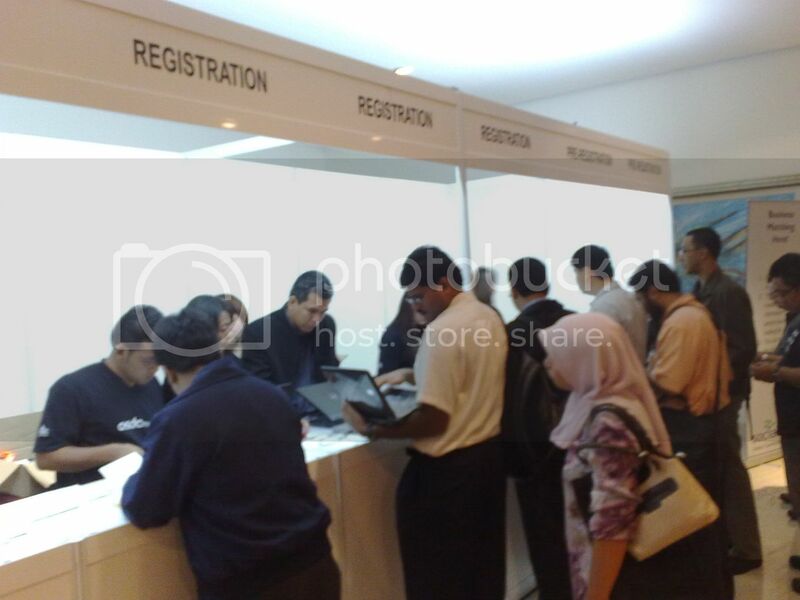 Just have a barcode and group of number…. I dunno whats that for. As expected, the keynote started only about 8.55am while the schedule say it will start at 8.30am. Malaysia time mah, reasonable loh! its like in school, the teacher speak in front, nobody will listen. im doing my blogging, surfing via netbook, and thats all. Shortly after the boring keynote, we got Frank Feldmann from redhat talking about Cloud Foundations, build on Open Source. This talk is more interesting, in fact x100 more interesting. I learn a lot about open source, and some cloud computing thing. 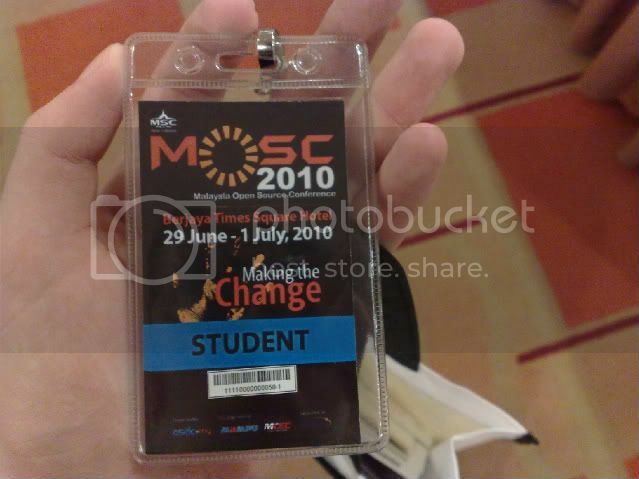 Only by then, i feel that thats the “meat” of #mosc2010 haha. BTW, recording of that session had been uploaded. If you want to listen to it, you can do so, you can also download it. I also attended Blender’s talk which is super cool but the only thing that im not an artist. But from the talk, i learnt that FREE is not equal to NOT GOOD. Some proprietary software also copy features FROM open source software! WHICH IS COOL! Demo time is good, impressing and mind blowing. OK this post is final. 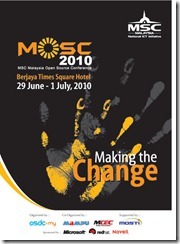 There is a part 2 of the #mosc2010 Day 1. Do check it out.